Wood’s Roofing and Guttering across Dublin. Wood’s Roofing have built a reputation of excellence experience in Roofs, Slating Repairs, Roofing, Re-roofing. All Roof Repairs carried out to better standards. Wood’s Roofing are registered roofing contractors who have been serving their customers for over 30 years in Dublin. We frequently travel all area’s of Dublin. Where ever a good roofer is required. We are specialists in roofing and guttering, uPVC, fascia & soffit, emergency services, roof repairs and re-roofing in all area’s of Dublin, Dublin and Kildare. 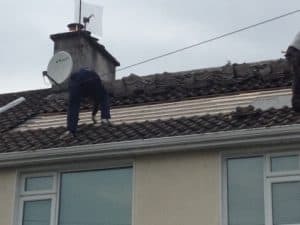 Dublin Roofing and Roof Repairs have been providing professional roofing and guttering services all across Dublin, Dublin and Kildare. We are known for our high quality workmanship and using irish materials, supporting irish jobs nationwide. We know that emergencies can happen anytime, which is why we offer a 24/7 service. Having hired Wood’s Roofing. I have a flat which was leaking, they came over and fixed the roof in 3 days.